Telstra Apn settings – Detailed Configuration. 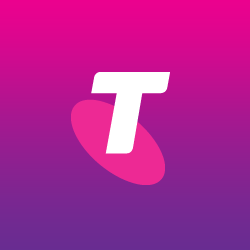 Telstra is the biggest mobile operator in Australia, it has over 16 Millions of subscribers and offer LTE fast speed mobile connection, in other words, you can browse up to 100 mbits per second! This is fantastic right? But, there is a detail, in order for your phone to work properly, you need to setup something called APN Settings. In this case, what you will need is to properly configure the Telstra APN Settings on your smart phone, no matter if you have an Android, iPhone or a Windows phone, they all share the same common APN Settings and if this is not set up properly, you won’t be able to use the mobile data on your Telstra phone! This are the unique APN Settings which will work for your Telstra network, please make sure you enter them exactly as they appear, otherwise it will not work! These are the steps you should follow to access the correct menu on your phone, be advised that for the Android phones, there might be slight variations depending on the manufacturer, however they should be pretty much on the same naming of the menu, just check it out. Telstra apn settings for Android – For Android, you should go to Settings > Wireless Connections > More > Mobile Networks > Access Point Names.